What can you say about Rajon Rondo? He is the best player on our team. He is our young star. He is the leader of a team that has an average age older than he is. He is arguably the best pure point guard in the league (He and Chris Paul). 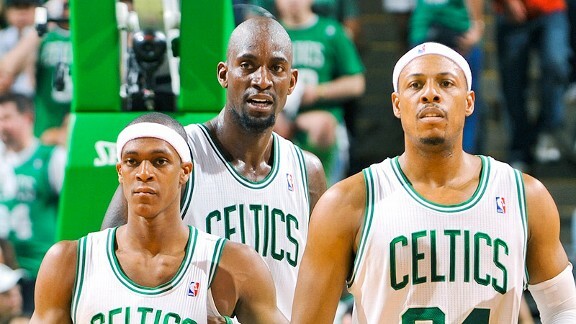 Sure, Rose, Westbrook, and Williams are all great players, but no one sets up their team as well as Rondo in my opinion. And he is fun to watch! ESPN recently ranked Rondo as the 12th best player in the league. He is the top ranked Celtic. 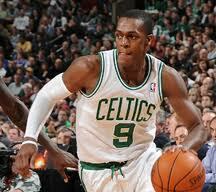 Last season, Rondo proved he could be consistent by averaging 11.9 PPG and 11.7 RPG in only his 6th year in the league. Without him consistently getting better, the Celtics wouldn’t be the team that they are today. He can score off the dribble, make unbelievable passes that make you rewind the DVR, and is a triple-double threat day in and day out. When he keeps his head clear, he can control the tempo of the game more than anyone I have ever seen on the roster. If the team needs to run, he pushes them, if they need to slow it down, he will walk up the floor, looking for any way to expose the defense. There is no doubt in my mind that he will be an all-star, and my guess is a starter this season, and potentially in the top 5 for MVP voting at the end of the season if the Celtics are where I think they will be (knock on wood). The next player to take a look at is Kevin Garnett. 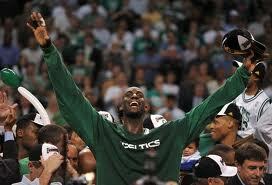 KG has been a key piece to the Celtics since he came over in 2007. He is now 36 years old but showed in last year’s playoffs that he can still play (19.2 PPG, 10.3 RPG in 20 games). Brandon Bass | Courtney Lee | Paul Pierce | Kevin Garnett | Although he may have lost a step or two in the past few years, the big ticket can still change the game with his unstoppable mid-range jump shot and defense. I’m aware his defense hasn’t been as great, but he is still one of the smartest guys on the court. The only problem I have had with KG is his lack of rebounding, other than in the playoffs. He averages just over 8 per game, but when he was in his prime in Minnesota, he averaged over 13. Rebounding has been a big reason why we have been losing over the past few years, especially on the offensive glass. I gotta admit though, it was nice having him start all 60 games during the regular season. Garnett was recently ranked #21 on ESPN.com for top NBA players. He was 22 last year. Doc has said that KG will be the starting Center so that Brandon Bass can play the Power Forward position. He said KG will do whatever it takes to win, even though some have said he dislikes that position. I’m sure he won’t mind as long as he can get another ring. By now you’re probably well aware that the real NFL officials are back in business starting tonight and the replacement refs are heading back to their couches. Order has been restored to the NFL. I gotta say though, I think I might miss it. 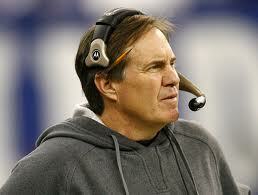 Don’t get me wrong, I prefer the regular refs over these jabronies any day, especially as it affected the Pats. But what I will miss is the excitement. I mean how could you not? Every play, a chance to hop on the bandwagon and rip the refs a new one. Of course they were a big joke, but that was the fun of it. With the Pats and my fantasy players out of the picture, I’ve never been more entertained watching games that didn’t matter to me in my life. Every night another chance to join the masses in laughing, yelling, and making fun of a bunch of average Joe’s. 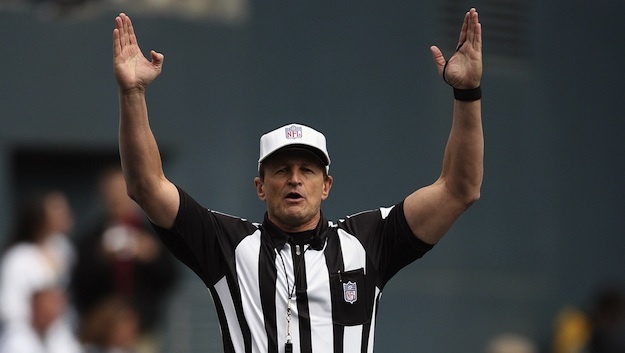 Now the regular refs are back and for this week everyone will be tuned in to see if they can live up to the hype. After that, it’s back to normal. They’ll still get ripped apart by fans, players, and coaches. So it begs the question, would you rather have seen the replacement refs last a little longer, or are you glad Goodell came to his senses when he did? PS. Keep in mind the Pats are up against the Bills Sunday. I don’t think I would have minded one more week of the circus. Next up for our player preview is Paul Pierce. Our captain has been around for 14 years, and stuck with the team even when we sucked. Nicknamed The Truth, Pierce is still one of the most clutch players in the league and one of the best players in Celtics history, and that’s saying a lot. Bleacher Report came out with the all-time best Celtics and made a starting line up. Pierce was chosen for this accolade along with Bill Russell (11 titles), Bob Cousy (6 titles), John Havlicek (8 titles), and Larry Bird (3 titles). Other than the fact that he only has 1 title, Pierce deserves to be up here, and is behind only Havlicek on the scoring list all time. He is still about 4,000 points behind him, though. Pierce was recently ranked as the 29th best player in the NBA. Pierce’s assists and points numbers have gone up last season compared to what they were in the past few seasons. He is still one of the best players on this team and some say this may be his last season in green, but I’m willing to bet that we re-sign him, and he deserves it after all that he has done for the organization. 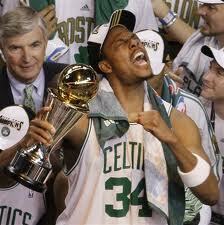 He deserves, more than anyone, to retire as a Celtic, and Danny Ainge will most certainly feel the same way. His number 34 will be retired in no time. His stats are below, but i only put the last few seasons, since the former big 3 was formed and he was forced to take on a smaller role. Next up on the list of starters is Courtney Lee. Although he is a great player, it is expected that when Avery Bradley comes back in late December-early January (hopefully), he will take back his role that he beat Ray Allen out for last season. But you can still expect a lot of minutes off the bench for Lee. Courtney was recently ranked as the #117 best player in the league (Bradley was 106). 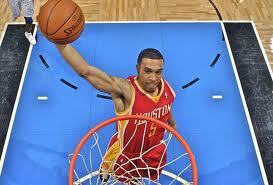 Lee is best known for his tenacious defense which should make the duo of him and Rondo tough to beat. He will be a good match up on Dwayne Wade since we will not have Avery to shut him down like he did last season. At the bottom I have listed his stats for his 4 years in the NBA since he left Western Kentucky. He averages exactly 10 PPG in his career and can score off the dribble. He needs a little bit of practice distributing the ball, but that should be easy considering he is now on a great looking team, not the Houston Rockets. I think he will score in the double digits again this season and will be a go-to defender in big games. Look for him to be a big factor on this team now that Ray Allen is gone. Since the Celtics begin camp on Friday, I thought we’d take a look at each of the projected starters that should be suiting up for the Green and White this season. 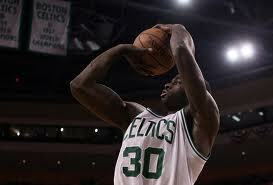 First, we will start with the Power Forward position: Brandon Bass. Brandon Bass had a breakthrough season for the Celtics in 2011. Danny Ainge went outside the box and traded Glen Davis. Although many people barely heard of Bass prior to the trade with Orlando, he quickly made a name for himself on the Celts. I think it was the most underrated move we made last season. John Hollinger of ESPN has predicted that he will score 15.7 PPG and 7.8 RPG. He was recently ranked as the 97th best player in the NBA. Below are Bass’ stats for his 7 seasons in the NBA. Brandon averaged the most points, rebounds, assist, steals, blocks, and minutes played of his career. The NFL can’t seriously go another week with these guys. Not to mention I don’t think these refs can bare another week of getting shredded by every single football fan in America. There’s got to be a point where they just quit themselves. I mean it’s just an all around embarrassment. It’s your move Roger.